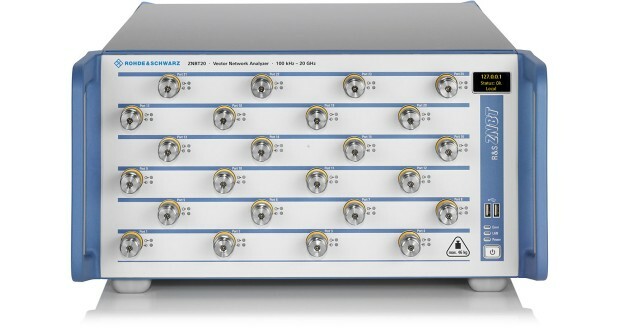 The R&S®ZNBT is the first multiport vector network analyzer offering up to 24 integrated test ports. 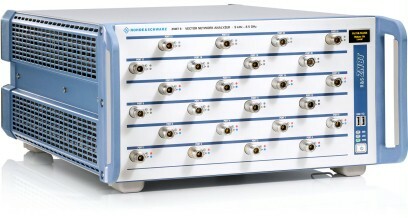 The R&S®ZNBT is the first multiport vector network analyzer offering up to 24 integrated test ports. 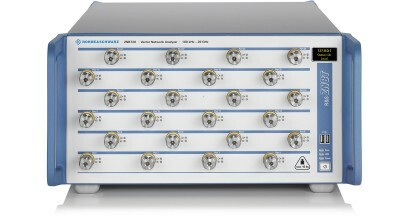 The instrument can simultaneously test multiple DUTs or measure one DUT with up to 24 ports. 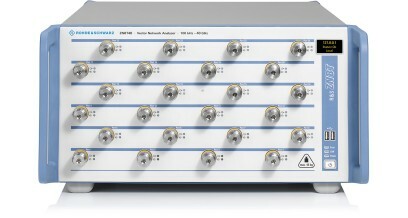 The R&S®ZNBT offers short measurement times even in scenarios with a large number of ports. Other highlights include a wide dynamic range, high output power levels and inputs featuring high power-handling capacity. 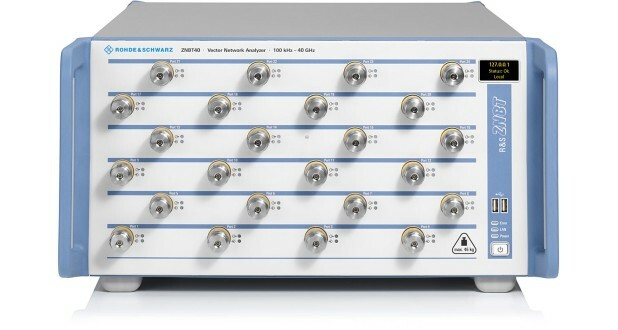 The instrument is available in two different frequency ­ranges: The R&S®ZNBT8 operates in a range from 9 kHz to 8.5 GHz, the R&S®ZNBT20, R&S®ZNBT26 and R&S®ZNBT40 from 100 kHz to 20 GHz, 26.5 GHz and 40 GHz, respectively. These features make the R&S®ZNBT ideal for applications in the mobile radio, wireless communications and electronic goods industries. The instrument is primarily used in the development and production of active and passive multiport components such as GPS, WLAN, Bluetooth® and frontend modules for multiband mobile phones. Its outstanding performance also allows efficient analysis of base station filters and other highly selective components. The R&S®ZNBT outperforms switch matrix based multi­port systems. Its high integration ­density makes it a very compact solution for analyzing components with up to 24 ports while requiring no more rack space than an R&S®ZNB. 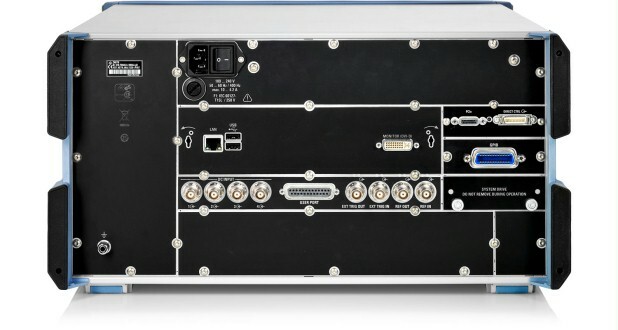 The convenient user interface makes it easy to handle even very complex multi­port measurements. The R&S®ZNBT supports various remote control options and is easy to integrate into automated test systems, for example for carrying out phased-array antenna measurements.